From Thursday 3rd January 2013 you will be able to book this Holiday Cottage direct with the owner, which means you will get a better deal. Previously, the cottage was let very successfully through The Bay Filey and Hoseasons. It will be a pleasure to be able to deal directly with holiday makers. You will be able to use the gym and swimming pool between the hours of 7 am and 8pm for free and we will provide a key to get in. You can book plenty of other activities at the gym including zumba classes, water aerobics, archery and bike hire. The golf course is only a couple of miles away and most of it has cliff top views. There are some excellent places to take your dog, just next to the cottage in the wild flower meadow at high tide and when the tide is out your dog will love the vast space of the beach. Filey offers cliff top walks on the Brigg or walking towards Scarborough. Further inland you can walk in the Yorkshire Wolds or North Yorkshire Moors. The more daring amongst you will love Dalby Forest for Mountain Biking or try the Zip Wires in Go Ape. Further afield, York is about one hour away, Bridlington 20 minutes, Scarborough 15 minutes and Whitby one hour by car. There is a good rail service to Filey and plenty of local buses which stop at the entrance to The Bay. You could even visit the beautiful Yorkshire Dales which again are about one hour's drive away. Just feel free to ask for ideas. The Humble Pie and Mash Shop on Church Street Whitby was visited on 25th November 2012 on a very cold day. We met up with old friends from Saltburn and enjoyed catching up next to the real coal fire. The pies were very tasty and were washed down with a steaming mug of Yorkshire Tea! The shop is very quaint and has a small antique sale room at the top of the building. Other holiday makers recommend the Magpie Cafe in Whitby and this is on our to visit list! The Magpie Cafe in Whitby was visited twice in 2013 the last tasting was in December! It was definately well worth the visit, very tasty. You need to get there early for lunch otherwise join the queue! Further up the coast, Saltburn is a very attractive and interesting resort. In October 2013, we walked up the beach to Marske stayed for coffee and shopping and then walked back through allotments and fields. In the evening we had a great meal out in the local bistro (can't remember the name so will research further). This year was the best yet for bookings but my family still managed to spend some quality time here. In March my daughter and boyfriend enjoyed a well earned rest from University/Job and enjoyed visiting Bempton Cliffs where they saw many species of sea birds including superb sightings of puffins. In May and June the weather was superb for walking. We discovered Hayburn Wyke beach, North of Scarborough. This is owned by the National Trust and can only be reached by foot. It isn't a sandy beach sadly and is covered with boulders and large pebbles. However, having a beach to yourself just a couple of hours drive from home is quite something in our crowded island. In June we met up with Caroline and Andy midway between Roobarb's Retreat and Saltburn (where they live) at The Wayfarer Bistro in Robin Hood's Bay. We had a fantastic meal and can verify why this restaurant is top of the list on Trip Advisor with five stars. After the meal we enjoyed walking the narrow cobbled streets and finally walked a bit of the Cleveland Way where we bumped into a couple of young badgers! Yet another wildlife interaction on the Yorkshire Coast. I started swimming in the sea (Filey Bay) in July and then repeated this after cleaning the cottage as this was quite hot work in the summer heat. My final sea swim this year was in October!!!! It was quite warm really and no I do not wear a wet suit, these are for wimps. Truthfully, now that I am getting to that age where hot flushes occur, a cool swim is really an antidote. In early December, Boris the dog chased a roe deer in the Wild Flower Meadow and then crossed over into the nearby fields. I chased after him for about an hour and a half in the muddy fields and there was no way he was coming back, after such an exciting chase. He eventually was brought to a halt by a boxer dog in the field near Hunmanby Gap, thankfully they were both too tired for a scrap but I felt like a heart attack was imminent. The Barn Owl is still to be seen in the fields close to the cottage, we saw him flying during day light hours on the way to the beach via Hunmanby Gap, in December. We are looking forward to 2015 and to further enjoyable visits to the coast and to Roobarb's Retreat Holiday Cottage, Filey, starting in January. After really heavy snow this week in Sheffield we are hoping to get over to the cottage to welcome a new King Size bed from The Bed Warehouse, Scarborough along with a new hotel quality mattress for the double bed. It is most important to keep our guests as well as ourselves comfortable! I was pleased to discover that The British Heart Foundation in Scarborough are going to take our second hand bed and mattresses to sell in their shop. I don't want to clog up any land fill sites. It has been fun choosing new bedding for the king size bed, seaside theme as usual. Bookings start in earnest next month and they have been coming in thick and fast for the summer weeks but there are still several weeks left if you still want to book. After a busy year at the cottage and at home in Sheffield, we finally moved over to the coast on 11th August 2015. The house is great with brilliant sea views and we hope to create further holiday accommodation for four people in the attached annexe which has a large games room and sea view lounge and kitchen, two large bedrooms, shower room, free Wi-Fi, private patio, garden and off road parking. Visitors will still be able to use the facilities at The Bay such as the swimming pool and gym using our membership card and this is only two minutes drive away. Keep looking at This Blog for further updates on the annexe to be called SEA VIEW MEWS. There are still a few dates available in September, October and most of November and December 2015 inlcuding Christmas. Holiday cottage near Filey, Sea View Mews, Reighton near Filey. Rural Cottage with sea views near Filey. Sleeps four plus baby, but no pets as there are dogs and rabbits next door. Prices for rental are for weeks or short breaks. Short breaks are a minimum of two nights. Dates already booked are given below the prices. Sea View Mews, Reighton, near Filey now available for holidays. Sea View Mews is a rural apartment in a house with amazing uninterrupted sea views. It sleeps four people plus baby but is not suitable for pets as there are dogs and rabbits next door! 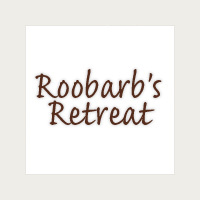 Up to date news about Roobarb's Retreat Holiday Cottage near Filey, North Yorkshire and Sea View Mews Holiday Apartment, Reighton, North Yorkshire. I decided to use www.holidaylettings.co.uk as a back up to my website as it has links to Trip Advisor. Having a listing on Trip Advisor should give me access to bookings from overseas. Trip Advisor is also useful for ratings and comments from those who have experienced your holiday home. I should also mention www.OwnersDirect.co.uk where the cottage is also advertised for the past two years resulting in some great clients! Our new holiday accommodation called "Sea View Mews"
Launch of Roobarb's Retreat New web site 2012! 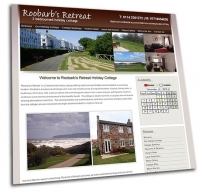 Roobarb's Retreat, Luxury Holiday Cottage in Filey are proud to announce the launch of their new website for 2012. We have included photo galleries with images from in around our holiday cottage including information such as Places to See and Visit. Browse our site for information and places to visit. We had a lovely stay at number 35. The food was lovely at The Copper Horse in Seamer, so good we went twice. For a fun evening, the summer shows at The Spa in Scarborough are recommended, even though Theo the Mouse is a bit naughty. We also had good trips to Bridlington (the old town is lovely), Whitby (didn't see Dracula) Scarborough and Filey.